Life Before the Dinosaurs: Greenops. 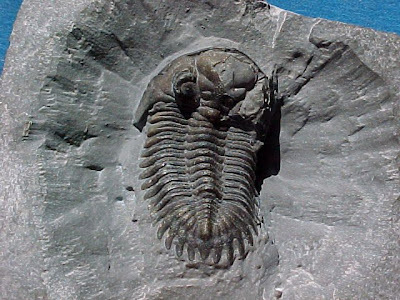 Greenops is a Devonian trilobite with odd spines growing out of the pygidium (the last body section). Finding a complete specimen is very rare, but scattered bits and pieces are common in New York State and Ontario, Canada. Greenops was about 1 to 1.5 inches long and probably had to avoid being eaten by predators like placoderms, ammonoids, orthocones, and sharks. It lived in deep warm water, but usually not very deep. 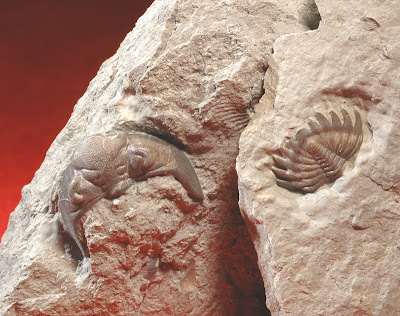 Fossils of Greenops are often found in Devonian limestone deposits. Greenops had a schizochroal eye, which are compound eyes that had few large lenses separated by thick walls. 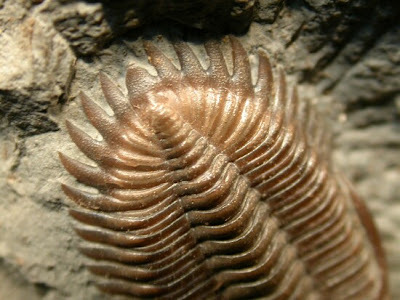 This type of eye in found only in some phacopid trilobites.